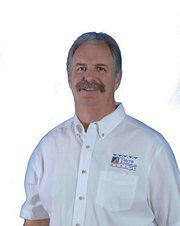 Chris was originally licensed Real Estate Salesperson (Realtor) in Arizona in 1986 and re-licensed in 2009. He has been a real estate investor (commercial and residential) ever since he bought my first home more than a couple of decades ago. Now an Associate Broker with Tierra Antigua holds designations such as Certified Negotiation Expert, Certified Short Sale Negotiator, Certified Distressed Property Expert, Certified Short Sale Professional, Short Sale and Foreclosure Resource and Accredited Buyer's Representative among others. Real Estate is Chris's second career. Chris spent over 28 years in the fire service and retired as the Fire Chief of Rural/Metro Fire Department. Chris still holds an Arizona Paramedic Certification and prestigious designations such as Chief Fire Officer Designee. This experience has given Chris an extensive knowledge of the community and neighborhoods as well as tremendous experience at negotiation of contracts.